As the school prepares to celebrate its 130th birthday, students and staff at Sydenham High School have chosen Phoebe Emburey and Madelaine Telford to be the 2017-18 Head Girls. 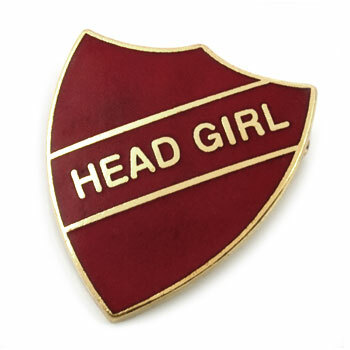 Their appointment follows a three-week long hustings process which began in the first week of January, when the eight candidates were given the task of of writing a letter to the Senior Leadership Team explaining why they would be good in the role of Head Girl. Following this, the candidates were given two days to write and record their speeches, ready to broadcast them to the school on Tuesday and Wednesday of last week. This proved challenging for the candidates who had to find time on top of their already busy schedules to persuade the school to vote for them. Many of the girls focused on the topic of supporting good mental health in their speeches. For example, Madelaine Telford discussed the fact that this is one of the most prevalent issues of our lifetime and said that she hoped to provide support to tackle this. Phoebe Emburey noted that ‘introducing life skills to the younger year groups to prepare them for later life’ would also be beneficial to the school. Furthermore, the candidates had to introduce themselves to the school in morning assembly – with only 10 seconds to portray why they would be a good Head Girl. The results were announced on 6 February. Madelaine and Phoebe, who both joined the school in Year 7 and have been friends ever since, are both delighted to have been given the opportunity to put more back into their school and hope to create a good atmosphere in which to learn and have fun.